Posted December 7, 2017 at 4:53 pm & filed under Top Tips. In the course of our work bringing the perfect pint to the Great British public, Beer Piper necessarily has a lot of contact with publicans, breweries and beer distributors and it is a source of continuous confusion that we hear a lot of publicans are still nervous about serving real ale. Some believe it is tricky to handle or too labour intensive to be able to serve properly but this simply isn’t the case. We have some excellent reasons to stock real ale and some simple ways to ensure your customers receive the finest product from the pump. If you read our October blog post on the 2018 Cask Report, you’ll know that real ale is a growth product. More drinkers, many of them traditionally lager consumers, are switching to ales that are locally sourced and brewed according to traditional methods, actively seeking new flavours and experiences when visiting hostelries. 89% believe that it is worth paying more for quality and it has been found that they spend more on an average trip out than any other market segment. Secondly, consumers are looking for premises that serve a wide variety of beers; the more that you can accommodate, the better your chances of gaining a loyal customer base. With more and more breweries opening, there has never been a better time to support your local economy too. 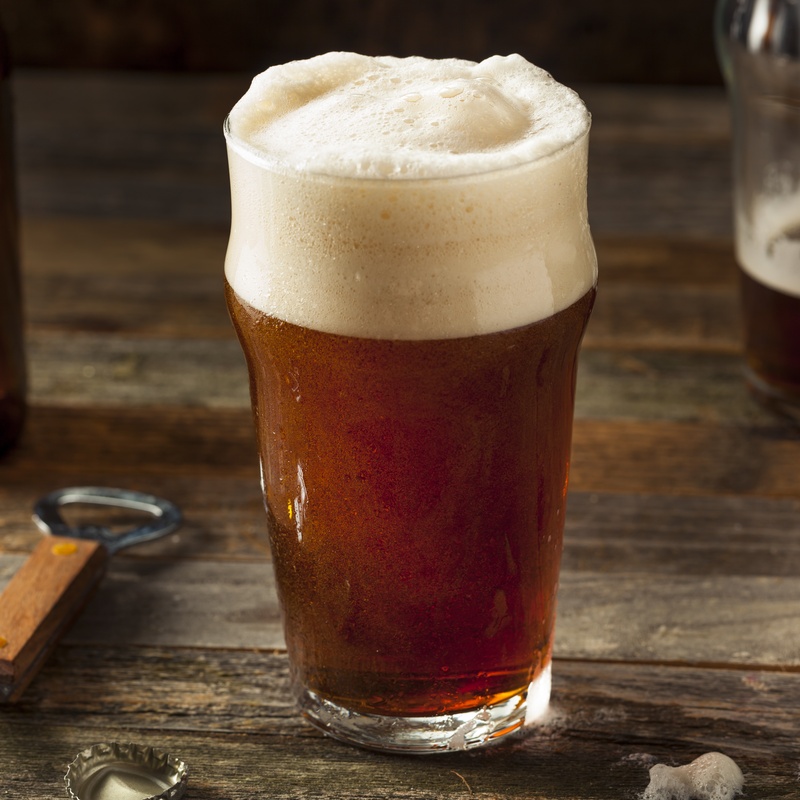 If you haven’t had much experience of handling cask conditioned ales or are looking to introduce real ale to your product line, ensure you order in the correct quantities and plan when you are going to serve them. Once exposed to air, you will have no more than three days to sell the beer before it is past being fit for consumers. Remember a polypin is just 4.5 gallons or 36 pints and a firkin is 9 gallons or 72 pints so sales on these scales is a good way to gauge popularity and ensure that you’ll sell everything before the shelf life expires. There are many small and micro breweries happy to work with you and accommodate smaller quantities. The more careful you are at bringing casks into your cellar, the better. There is no need to roll them around and less movement will reduce settling time, usually 2-3 days. If you take delivery on Friday morning and tap it straight away for the Friday night crowds, be prepared to receive a lot of flack for serving bad beer. Casks were designed with a belly for a reason, to allow sediment (yeast and / or finings) to collect, so get the stillage sorted (i.e. don’t allow the cask to move by securing with chocks) and wait until the beer is clear. Do this flat so that the vessel is not leaning forward, this prevents yeast settling near the tap which also causes issues. If the beer is specifically meant to have a certain haze, the brewer will tell you exactly how to manage their beer so it arrives in the glass as intended. Some breweries use the term “bright beer” to describe those either fined and removed to another vessel so the yeast is no longer actively fermenting – but a good real ale will retain the yeast for secondary fermentation in the cask. Before any other actions, allow the beer to get to the right temperature in the cellar, 52 -55F. Next, of course, is the cleaning of the shive and keystone so that no contamination from the exterior of the vessel can destroy the beer. Controlling the pressure inside the cask will aid clarification and control CO2 levels so hammer a porous peg or spile (although some prefer to use a less porous ‘hard’ spile in certain cases) soon after delivery into the shive, allowing excess CO2 to escape and if done at the right temperature will prevent too vigorous an escape. No one wants a froth shower and beer all over the place! You might need to replace these if they become blocked over the next few hours / days. Remember to use hard spiles once tapped to minimise oxidation when you’re not actually serving. That’s really all there is to it, you’re ready to go. Simple! Real ale will make a welcome addition to your forthcoming Christmas trade. Make a name for yourself as the real ale “go to” pub in your area by serving exceptional beer, sourced locally and with a passion for the product. It hardly needs us to mention the cleanliness of your beer lines – but we will, just as a reminder! Real ale maintains the integrity of the brewer’s art with an array of flavours and aromas so don’t allow those to be lost by serving great beer through poorly cleaned lines. Beer Piper works alongside your existing cellar equipment to effortlessly clean and sanitise your lines so that your reputation remains intact. Wasting precious beer and spending countless man hours on needless manual cleaning? Why not contact our team now and ask for a free trial!